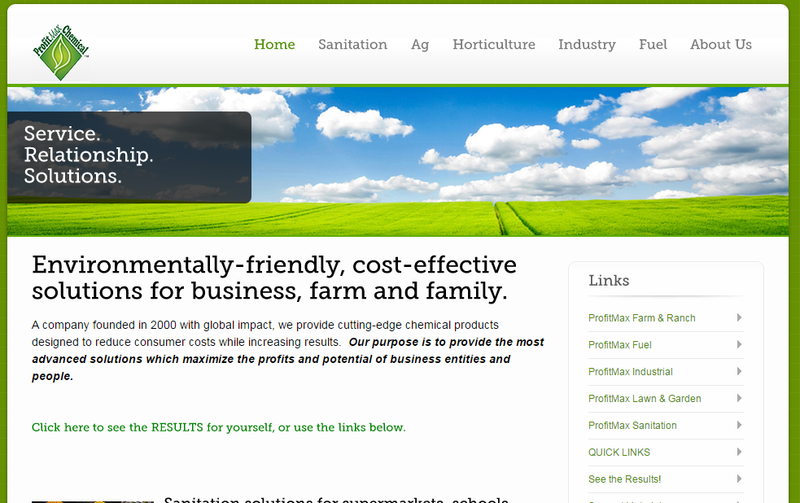 We are excited to announce the launch of the new and improved ProfitMax Chemical website! We have thoroughly enjoyed working with ProfitMax Chemical and know that their website will soon become one of their most valuable tools - second to the amazing people that work there! ProfitMax had a WordPress website when we first started consulting with them. The site had a lot of great content, but really needed a custom design to better organize the services that they provided. An amazing custom design with a very modern feel now allows their site and business to really shine! 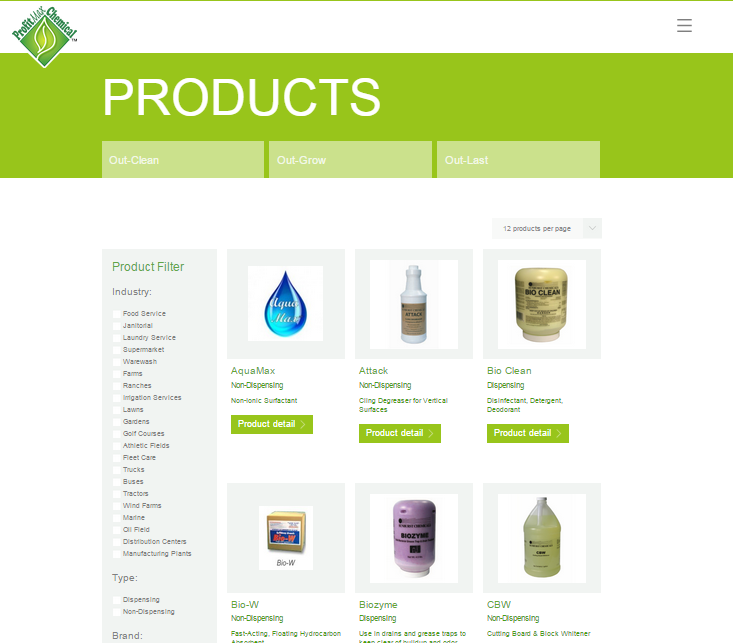 *Images and videos displayed for products. We usually recommend that our customers use their own personal imagery on their websites. This is just another way to separate yourself from everyone else while giving your customers a more genuine idea of who you are! Anyways, we recommended they look into services like iStock which provide amazing professional photography that you can purchase for web / print usage. ProfitMax really ran with this suggestion, finding incredible images that really gave that extra boost to solidify the professional look and feel of the website! We're pretty excited about this website and what this customer has to offer! We would love to get your feedback!